Failure at the first step doesn’t mean an end, but an opportunity to get up and proceed further towards your goal. 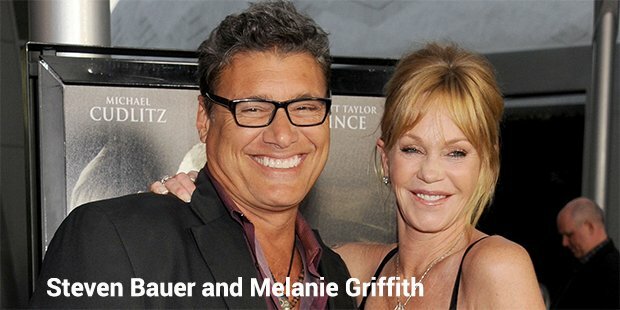 Melanie Griffith, born to an advertising executive & former actor Peter Griffith and actress Tippi Hedren provides an inspirational living example of the above fact. Due to her background, Melanie developed an interest in acting and made her first appearance as a model, even before turning one.Though this was not her sole decision to appear in an ad that time, she did work hard to make it worth throughout her life. Her first and foremost obstacle to be a successful model was her shyness, due to which she joined the Hollywood Professional School and created an excellent academic record. After gaining some exposure, she returned to the showbiz with her debut movie Smith (1969) as an extra, at the age of 12. She met Don Johnson when she was working for The Harrad Experiment (1973) and moved in with the 22 year old actor. Johnson’s company influenced Melanie and she landed a significant role in Night Moves (1975), directed by Arthur Penn. She married Johnson on turning 18 and divorced within a year, after the couple struggled with cocaine and alcohol addiction, creating a downfall in her career. They have a daughter Dakota Johnson. Melanie got another chance to raise her reputation when she met her future husband, Steven Bauer on the sets of She’s in the Army Now in 1981. Bauer influenced her life positively, pushing her to improve by studying with Stella Adler and hence, Melanie made an appearance as Holly Body in director Brian De Palma’s Body Double (1984). She earned a Golden Globe nomination for her performance, catching Jonathan Demme’s attention for the cast of Audrey in Something Wild (1986) opposite Ray Liotta and Jeff Daniels. At this point, Griffith’s career was in a take-off position, but her married life failed and pushed her back to her bad habits. But, Melanie left her sorrow behind and started working on her weaker areas. Next, she appeared in Working Girl (1988), for which she worked harder and earned Golden Globe Award and Best Actress Oscar nomination. Reuniting with Don Johnson, she kept her focus on professional endeavors, but unfortunately, moved in the wrong direction. Her performance metrics dropped and she was nominated for ‘Golden Raspberry Award for Worst Actress’ for her performance Bonfire of Vanities(1990). After this, she ended her married life with Johnson again in 1996 and soon after, married to Antonio Banderas. 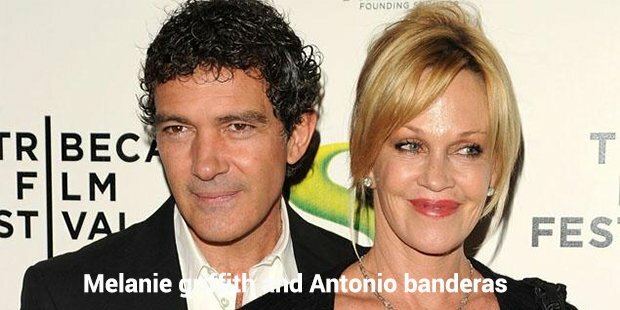 Banderas accompanied her through her worst times and she rose back to a prominent position in the industry with some remarkable titles.